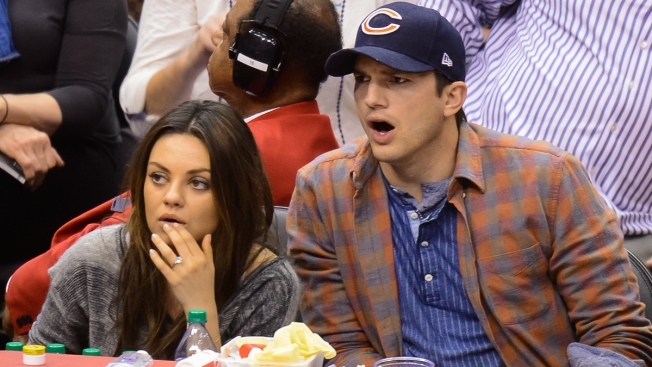 Ashton Kutcher has big plans for his daughter’s future… and the Chicago Bears. How exactly? By forcing her to watch football every Sunday, Monday night and Thursday night. “This child has worn a Chicago Bears onesie every Sunday of her life, every Monday night of her life, Thursday night of her life,” Kunis said. In fact, she has almost an entire wardrobe of Chicago Bears onesies. “She will love football,” the Jupiter Ascending actress said. Kutcher, a known Bears fan, and Kunis welcomed baby Wyatt in late September 2014. "When you first get them it's, you're all excited and you're ready to do all these things. And then you realize it's like getting a new cell phone where all the features don't work yet. It's like a phone that won't take pictures and you're like, 'Why won't my phone take pictures?' And it won't make calls and it doesn't do a lot, but it looks really cute."